For the cleanest and most reliable chimney sweeps service in New York then contact Chimney Repair NY at 1-877-952-7425 or request a Free Chimney Sweep Quote. Our customers are guaranteed to be satisfied with the top notch chimney sweeping services we offer because we are the best at removing the dirt and debris that has accumulated in your chimney and fireplace with NO mess to your home. Safety guidelines recommend an annual chimney sweeping and inspection to ensure home safety and prevent hazardous problems from happening like chimney fires or gas leaks. Chimneys that are not maintained or cleaned regularly reduce heating efficiency and can be unsafe to your health and home. The smallest amount of soot buildup in your chimney can cause a chimney fire which can damage the chimney and spread into your home. Protect your health and home today by calling us at 1-877-952-7425 to schedule service or request a Free Chimney Sweeping Quote. Free standing wood stoves or fireplace inserts used to heat the home should be swept and inspected annually. Regular open fireplaces need to be maintained and swept on a consistent basis as well. A chimney sweeping is usually required for every cord of wood burned or at least 2-3 years. 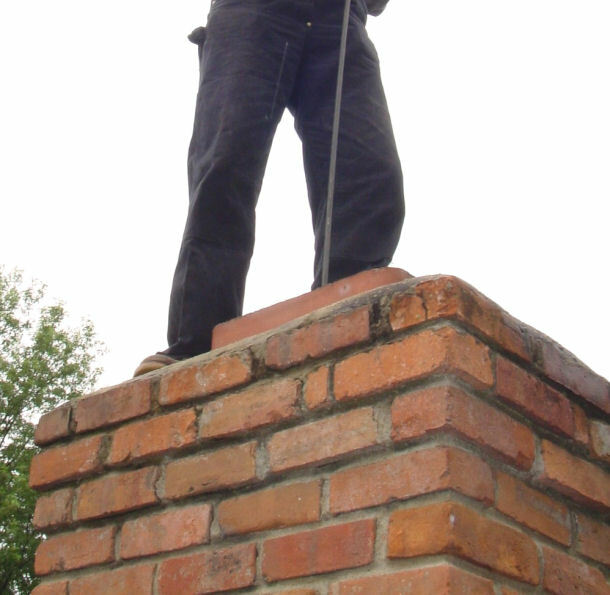 Our chimney sweeping professionals usually take about an hour to sweep most masonry chimneys which include tarp setup, brushing, tooling, vacuuming, and cleanup. Pre-fabricated (Pre-fab) fireplaces typically take about 35-45 minutes for sweeping. Fireplace Inserts can take 1 to 3 hours to sweep depending on how often they are cleaned, the type of wood burned, and the way the stove is operated. For Fireplace Inserts, chocked down to slow smolder type burning produces more creosote which takes longer to clean. For simple, reliable, and affordable chimney sweeping service, go with the chimney professionals you can trust Chimney Repair NY and call 1-877-952-7425 or request a Free Chimney Sweeps Quote.